My name is David Barnes and I come from the UK. I completed my counselling diploma at the Central School for Counselling and Therapy in London in 1996. I have lived and worked in Germany since 1998. During this time I have worked with individual clients and couples addressing a wide range of issues. 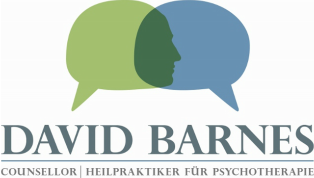 I have considerable experience in working with bi-national couples and I work in both English and German. The majority of my clients are men, though I also work with women. I have a number of transgender clients, too. Before moving to Germany my work in London covered issues such as HIV and sexual health, sexuality; in particular dealing with issues related to being gay, lesbian or bisexual. I also have extensive knowledge of and experience in working with people dealing with issues arising from sexual abuse.